Baking your own bread has never been more nutritious or delicious! Natural yeast is full of amazing health benefits: it breaks down harmful enzymes in grains, prevents bread from spiking blood sugar, and makes nutrients more readily available for the body to absorb. This book explains the health benefits of naturally yeasted breads in easy to understand terms, and gives detailed instructions for using a yeast start and keeping it healthy. The thing that really sold me on trying natural yeast is how the yeast is free forever. I had a lot of fun trying to figure out how to bake bread with natural yeast, even though it was a steep learning curve for me (I never made my own bread before trying this method.) 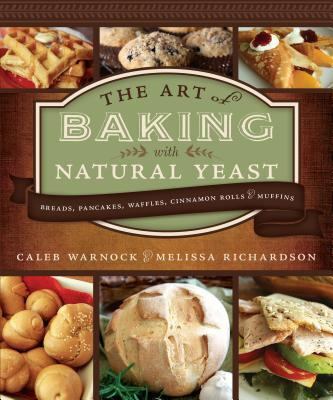 Natural yeast is more like a sourdough start than the packets of yeast at the grocery store, so the process is a little different. Once I got it figured out, the results were fantastic! Not to mention all the health benefits discussed by the authors. I would recommend this book to anyone interested in making bread, or who is looking for a yummy and healthy alternative to white bread.